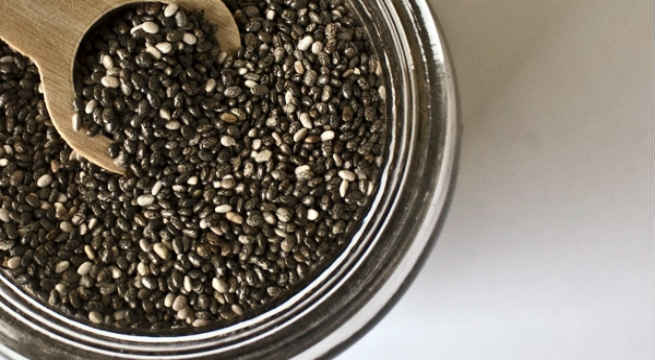 Chia seeds are a powerhouse of nutrients like omega-3 fatty acids, fiber, manganese, calcium and phosphorous. It is amazing how these tiny seeds can help you with problems ranging from sustaining energy levels, excess weight to hair loss. In today’s post, we will take a look at what this magic ingredient is all about and how the benefits of chia seeds can boost your hair growth. Chia seeds are tiny white or dark brown seeds that belong to the mint family. The seeds were traditionally used by the Aztecs but are becoming more popular of late as more and more people are taking to whole grains and indigenous foods. The seeds are a rich source of omega-3 fatty acids which are essential fatty acids that cannot be synthesized in the body and need to be ingested through food. Omega-3 fatty acids are essential to maintain a healthy circulatory system, to reduce inflammation in the body and to keep the hair and skin healthy. The amount of antioxidants in chia seeds is more than what you can find in cranberries. Other than this, the seeds are also rich sources of protein, sodium, phosphorous and manganese while also providing a lot of fiber upon consumption. It is a good source of zinc, copper, calcium, iron and vitamins A, B and C.
How can chia seeds help in hair growth? Chia seeds are made of upto 23% protein. Our hair is primarily made of a protein called Keratin. Consuming chia seeds helps in restoring the health and strength in the hair and giving you thick and voluminous hair. Copper and Zinc are important minerals which are found in chia seeds. Copper helps in cutting down thinning of hair while zinc helps in repairing damage and preventing scalp infections. It is found that men and women deficient in omega-3 fatty acids experience more hair loss when compared to those who do not have the deficiency. The essential fatty acids stimulate the hair follicles to induce hair growth. Chia seeds, being rich in omega-3 fatty acids will help control hair loss by overcoming the deficiency. It also helps give you hair that is lustrous and shiny. Loss of iron from the body is one of the major causes of hair loss among women. Consuming Chia seeds will restore the iron levels in the body, promoting better circulation and hair growth. The seeds help promote better sleep, which is essential to relieve stress. Once you are free from stress, it is goodbye to hair problems. How to use chia seeds for hair growth? 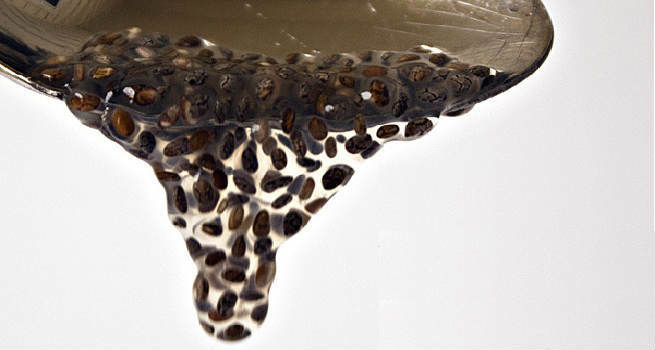 Chia seeds, when soaked in any liquid like water or milk, swell up to almost 4 times their size by absorbing the liquid and forming a gel like coating. They make for excellent additions to puddings, cereals and smoothies. You can also use them in DIY beauty treatments. We tell you the various ways in which you can use the seeds to get great hair. Add a tsp of chia seeds to a glass of water or lemonade. Wait for ten minutes for them to swell up. Drink them up soon after. They keep you full for a long time and also give you the essential nutrients without too many calories. You can powder chia seeds and add it to your bakes. You can sprinkle some seeds in your cereal to get the benefits of chia seeds every morning. Ingesting it is the best way to get the benefits of chia seeds. Use 2 tsp of chia seeds gel in your favorite smoothie everyday and you will never complain of lackluster hair anymore! Mix 2 tsp of chia seeds in a cup of water. Leave it for ten minutes till the seeds swell up. Now add a tsp of lemon juice into it and mix well. Rinse you hair with this concoction to make your hair strong and glossy. 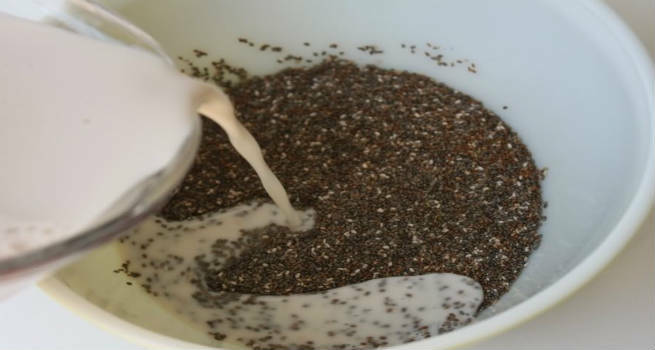 Soak 1 tsp of chia seeds in 1/4 cup of almond milk or coconut milk. Leave for ten minutes. Once it becomes gel-like, apply it all over the scalp and leave it for ten minutes as a mask. Wash off with a mild shampoo. The mask will prevent hair loss and make your hair healthier.